Re: Car battery case material -- Rosanna Post Reply Edit Forum Where am I? Here is a photo of the test made this morning. The pendants are quite dirty so initial passes were indeed a dark brown to yellow. 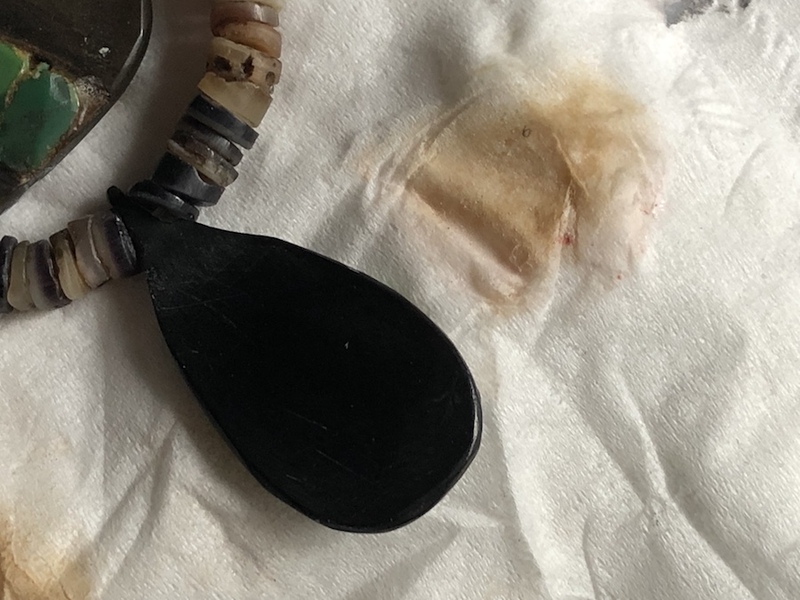 I have now cleaned this one pendant a bunch of times over several days and am confident now that the tests are completely uniform that this is the correct simichrome reaction - or perhaps simichrome will endlessly pick up traces of degraded rubber.